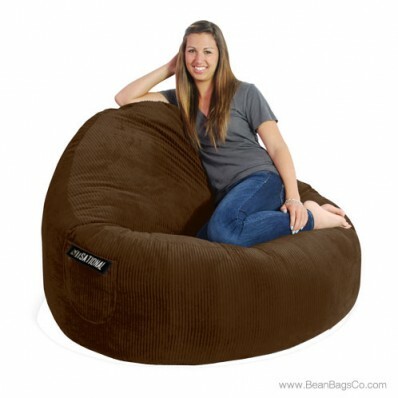 The 2-Seater Sitsational Mod FX lounger is the last word in comfortable bean bag chairs, and in delicious chocolate brown, this seat could not be more stylish. 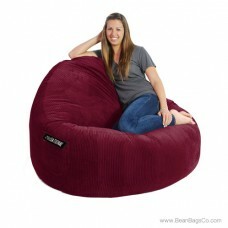 Matching any existing décor, this casual furniture is sure to be a hit with family and friends. The handcrafted design ensures quality construction, and the 100 percent recycled fiberfill interior is ergonomically designed to support your body for years of use. No matter what type of adult furniture or junior furniture you need to finish your den, living room, bedroom or playroom, this lounger fits the bill. A handy pocket on the side of the lounger holds accessories so that you can relax and watch television, listen to music, or read without interruption. 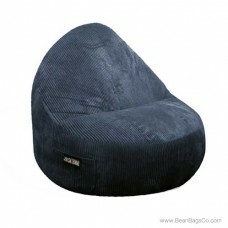 The soft corduroy exterior not only looks great but is easy to care for; just wipe it clean with a damp cloth. The two available sizes ensure that everyone in your family can find the perfect bean bag lounger fit, and the ergonomic design ensures comfortable cradling of your head, neck, shoulders and back while you relax. The only problem you will face is deciding who gets to use the chair most often! Don't like this color? 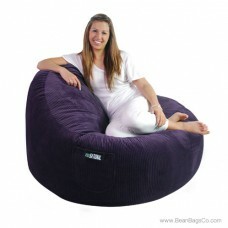 Check out the other great colors this is available in: black, midnight, berry, and dark purple.